The residence at 3223 Washington Boulevard is located within the boundaries of three different neighborhood organizations registered with the City of Indianapolis. 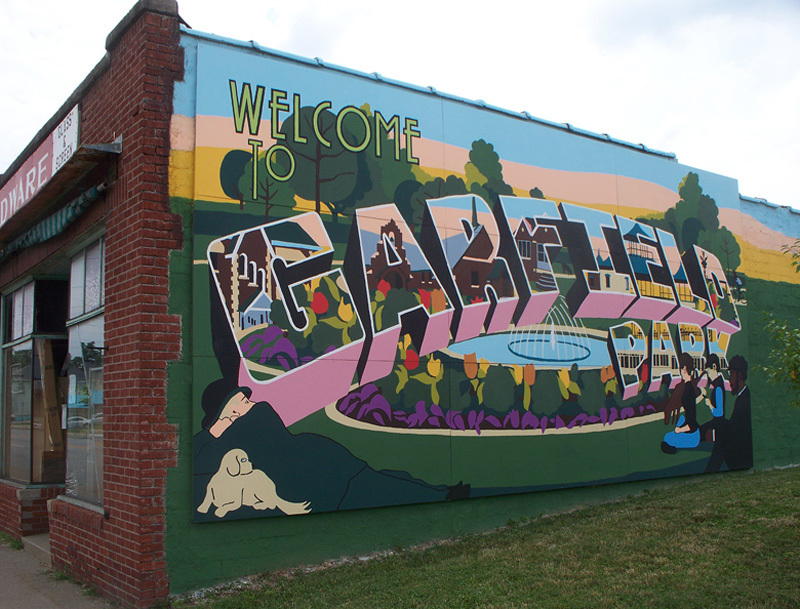 They are Mapleton-Fall Creek Neighborhood Association, Mapleton-Fall Creek Development Corporation, and Historic Meridian Park. Geographically, Mapleton-Fall Creek Neighborhood Association and Mapleton-Fall Creek Development Corp. have the same boundaries, which roughly form a triangular shape. 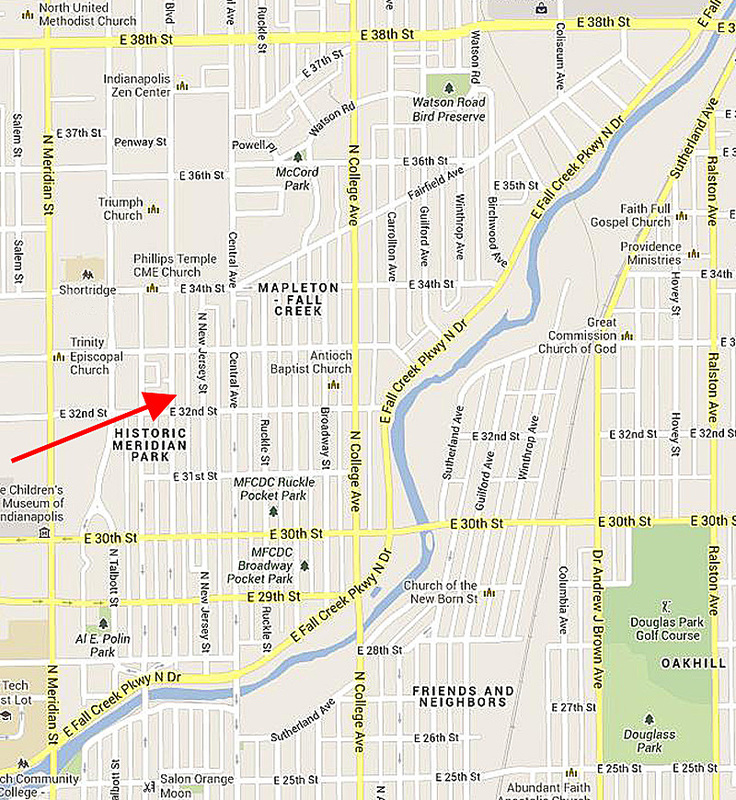 The northeasterly flowing Fall Creek provides the south and east borders of the neighborhood, East 38th Street serves as the north border, and North Meridian Street is its west border. MFCNA was founded in 1962, to address the deterioration of the (then) half-century-old neighborhood and to discourage residents and businesses from leaving the area. MFCDC was founded in 1985 to develop programs that would help to revitalize the neighborhood’s existing resources and create new ones. 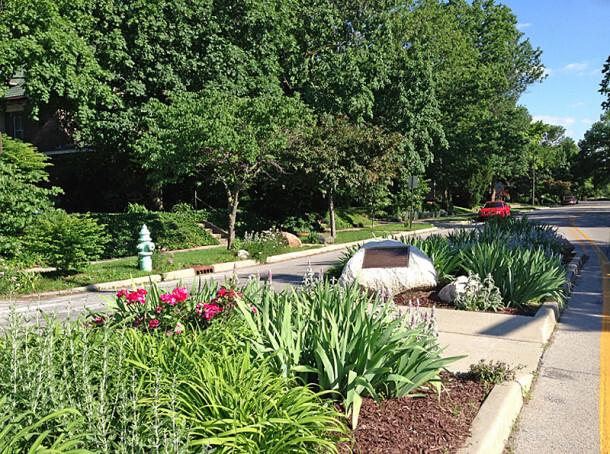 Historic Meridian Park encompasses a much smaller geographical area and is a pocket neighborhood within the larger neighborhoods. HMP’s boundaries are East 30th Street on the south, Washington Boulevard on the east, East 34th Street on the north, and North Pennsylvania Street on the west. 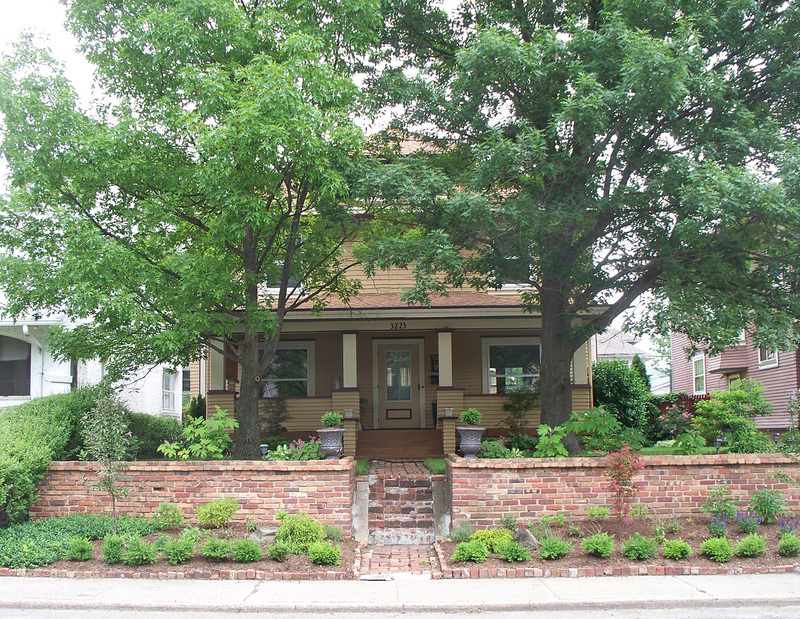 Historic Meridian Park is mostly made up of single-family residential properties, with only a few multi-family structures and commercial buildings. The two-block by four-block area has become a close-knit group of neighbors working together. In 1990, HMP was placed on the National Register of Historic Places. The land on which 3223 Washington Boulevard was constructed was first purchased from the United States of America on September 9, 1835, by Zachariah Owsley. It remained largely rural and undeveloped until the latter part of the nineteenth century. 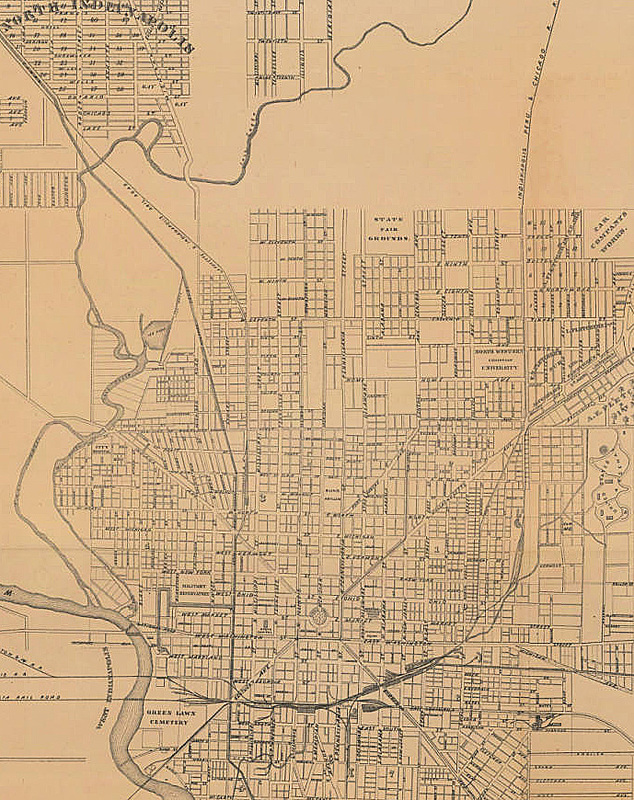 An 1874 map shows few streets north of the State Fair Grounds, which at that time were in the vicinity of what are today 19th and Alabama Streets. Both the names (or numbers) of streets and the individual properties’ addresses were changed over the years, to make them more consistent with original streets and numbers in the core of the city. Most of the existing homes were built in the first two decades of the twentieth century. 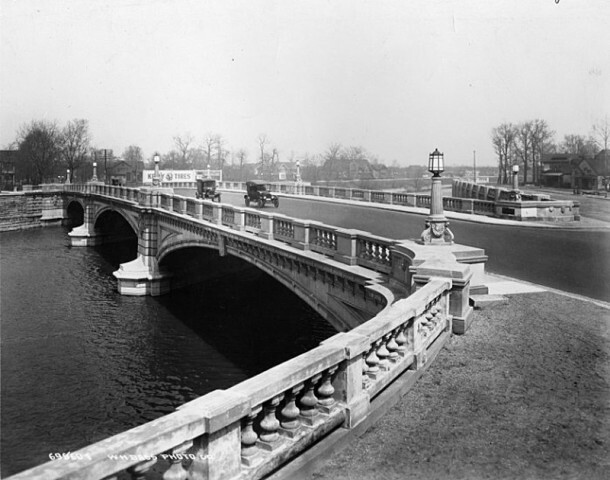 Beginning in 1908, a system of parks, boulevards, and bridges was developed under the guidance of city planner and landscape architect George Edward Kessler (1862-1923). The bridges over Fall Creek contributed significantly to the development of the northern part of Center Township, as well as Washington Township beyond it. With the ever-increasing popularity of the automobile, families could build homes away from the noise, dirt, and congestion in the center of town, yet be within a short drive from workplaces and merchants. The area also became home to many educational, cultural, and religious institutions in the early decades of the 20th century. The first family to occupy the home at 3223 Washington Boulevard was that of Woods Archibald Caperton, Sr. (1879-1933) and his wife Sue Evans Caperton (1881-1962). 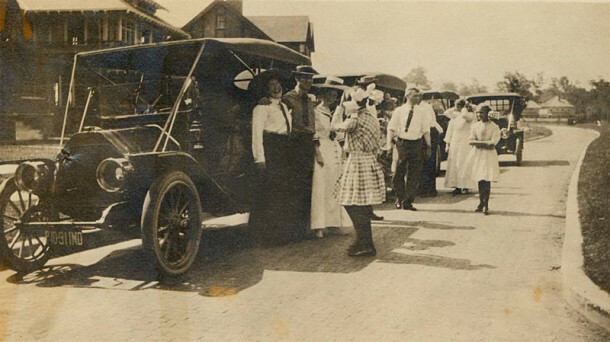 Woods Caperton began his career as a traveling salesman for Eli Lilly and Company in his hometown of Waco, Texas, about the time of his and Sue’s 1902 marriage. By 1907, he had been promoted to sales manager of the pharmaceutical company and was asked to relocate to Indianapolis. The Capertons, including daughter Helen and son Woods, Jr., moved into the home at 3223 Washington Boulevard late in 1910. Third child Mary was born shortly thereafter. They remained at 3223 Washington Boulevard for about six years. In 1916, the Capertons built a larger, more elegant brick home at 4830 N. Meridian Street. 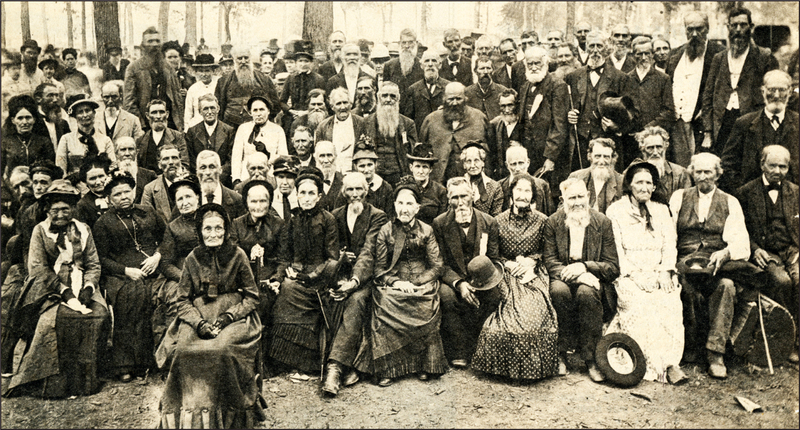 The Capertons were involved in many activities in the community during their lifetimes. 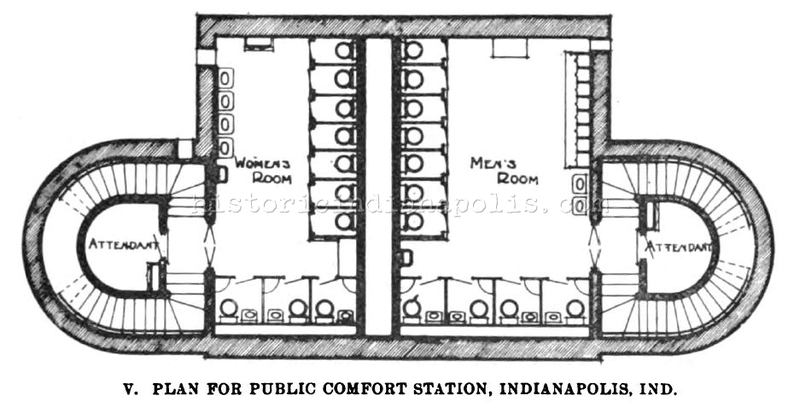 They also travelled extensively, in this country and abroad, promoting both the Lilly Company and the City of Indianapolis. By the time the 1917 Indianapolis City Directory was published, the owner listed for 3223 Washington Boulevard was Cornelius Oscar Alig (1891-1975). He had just married Cecilia Wulsin Alig (1894-1977) in February of that year. Alig grew up at 1608 Park Avenue in a house that is today the site of a Kroger grocery store, which was discussed in a February HI Mailbag column. Alig started his career with his family’s Home Stove Company, but soon got into banking, first with the Union Trust Company and later with Indiana National Bank. He was a founder of the Traders Point Hunt. Wife Cecilia was the granddaughter of Isaiah Mansur, who built the Mansur Block on the northeast corner of Alabama and Washington Streets and the Hume-Mansur Building at 15-31 E. Ohio Street. Cornelius and Cecilia Alig owned the home at 3223 Washington Boulevard until 1921, when they built a new home about a mile north at 4420 Washington Boulevard. The next owner of the home was Arthur W. Freund, president of the W. R. Wheeler Co., which was located at 426 N. Meridian Street. The firm sold garage equipment and automobile supplies. He owned the home for only two years, 1921-1923. Claude A. Helm resided in the property from 1923 to 1925. He was president of the Helm-Lewis Block Co. From 1926 to 1931, Dean H. Craft and Ethel M. Craft and their daughter Dorothea occcupied the home. Dean was a pipe organ builder with a shop at 917 N. New Jersey Street. 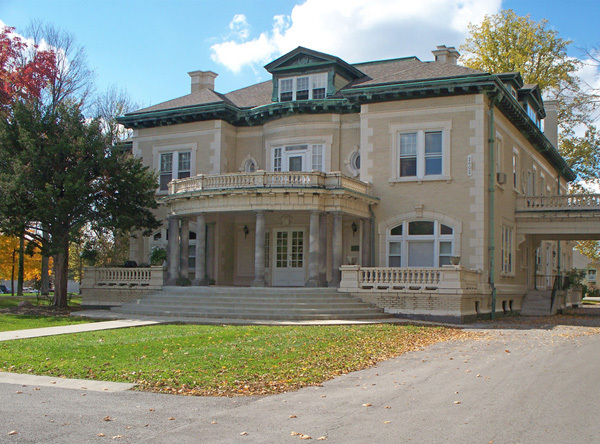 From 1932 to 1934, William J. Webber and Dorothy L. Webber owned the home. William was an adjustor for Western Insurance Co. The next few occupants lived in the home for only one year each. They were Hewitt C. Hazen, Glenn H. Puckett and Harold C. Oberholtzer. Calvin C. Matthews and wife Lute were the owners from 1939 until the mid-1940s. Calvin worked for Mitchell Manufacturing Company, which was located in the Knights of Pythias Building at 210 Massachusetts Avenue. The building was demolished in the 1960s, and that block of Mass Ave was vacated, in order to make way for the Indiana National Bank Tower (now Regions Bank Tower) at One Indiana Square. From 1945 to 1949, Thomas and Ruth Laing and children Thomas Jr. and Judith resided in the property. Laing was the manager of Factory Mutual Life Insurance Company. In 1949 and 1950, Arnold and Frances Spavin occupied the house. Mr. Spavin, a Massachusetts native, also worked at Factory Mutual Life Insurance Company, as did the home’s previous resident. 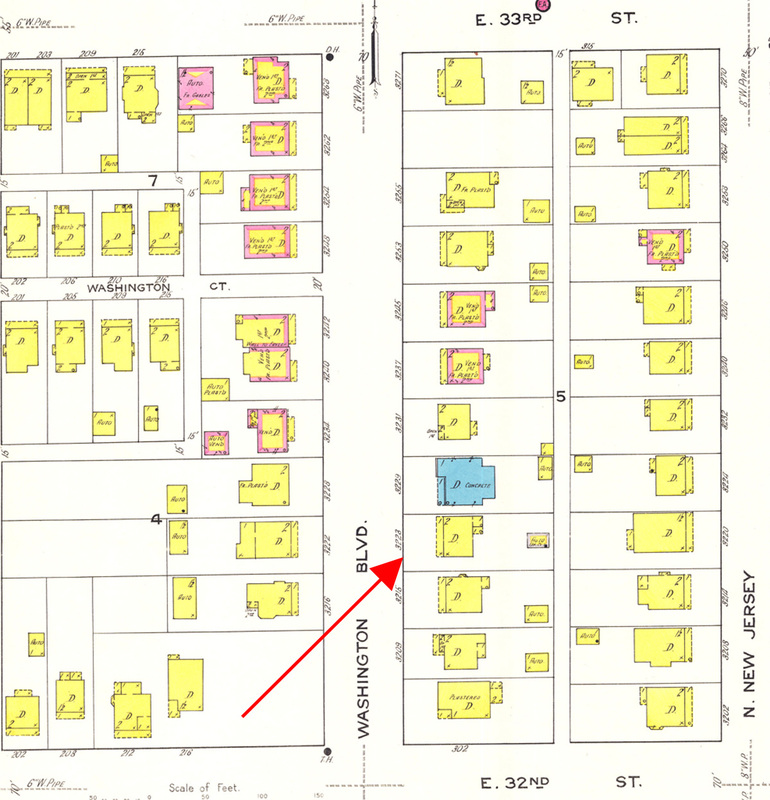 In 1950 and 1951, Vincent R. Earl, a salesman and real estate investor, his wife Mary, and their children Carole and Bob, made 3223 Washington Boulevard their home. 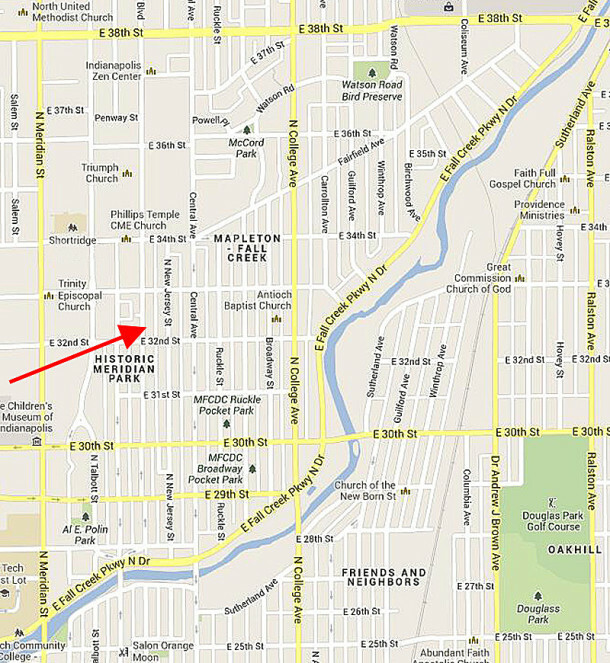 From there, the Earls and two more sons who were born later, Tom and John, lived around the corner on 33rd Street and then a little further north in the Mapleton-Fall Creek neighborhood at 36th and Pennsylvania Streets. Martin L. Lang and wife Velma appeared in city directories at the Washington Boulevard address from the mid-1950s until the mid-1970s. Lang was manager of a Haag Drug Store. A general contractor by the name of Daniel R. Doll purchased the property in 1978 and quit-claim deeded it to CEDOLL LLC in 2011. The current owners of the residence have owned the house for just over a year. Love the articles on historic Indy. Thanks. Thank you for reading the article, and thank you for taking the time to post a comment. I’m thinking by your maiden name that you must be Jolee Benfield’s sister. If so, tell her I said “hello.” I was in her Junior Vaudeville Act in my freshman year at Shortridge. I’m researching some old friends from high school. I saw your maiden name and thought you may be related to Jolee. If so, I’d love to hear from her. Yes, Robin is Jolee’s younger sister. I don’t know if Robin is still following the comments on this article, since this post was more than two years ago. Hopefully, she is, but if not, I can tell you that Jolee’s married name is Gollan. Always enjoy reading your articles, Sharon. Loved seeing the picture of School 60, our old grade school. 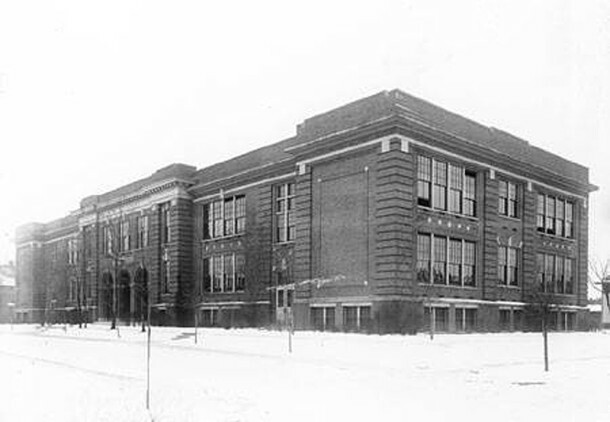 The near corner was where the Junior High classrooms were located. Made me smile to see some of the open windows in the picture – reminded me of springtime, sitting in the classroom and having spring fever. Thank you for commenting, Donna. The classroom on the southeast corner of the third floor (with one lower sash open and one upper sash open) was Mrs. Dietz’s room during my years at School 60. It was in her fourth grade class that I began to respect the power an education. Although she was sometimes a bit stern, Mrs. Dietz managed to make learning exciting for us 9- and 10-year-olds. I remember Katherine Dietz received a Teacher of the Year Award in the late ’50s or early ’60s. I understand that the folks in Meridian Park have some fine block parties – suggest you, Sharon, contact Bob Giannini, who is retired from being Dean at Christ Church Cathedral. He and Joann live on the southeast corner of 32nd and Pennsylvania. I am a 7th generation descendant of Zachirah Owsley. Do you know very much about him? The only records I could find were land and marriage. I know he married twice and had a large family, but not a lot of his early life. Would love to know more and anything else in the way of documentation.